I hesitated when asked to review this book because as a kid I was an Atari guy (as opposed to the Commodore people). When the 16-bit computers were released in the mid-1980's I was firmly on the Atari ST bandwagon. But here's the thing: I was jealous. The Amiga had much better software support (read: games) and in every side-by-side comparison the system clearly came out on top. Those 4096 colors (sorry, colours) turned out to be a big deal. Atari apologists always pointed to the audio prowess of the ST, but unless you're a musician, who cares? I wanted to play games, not compose music. 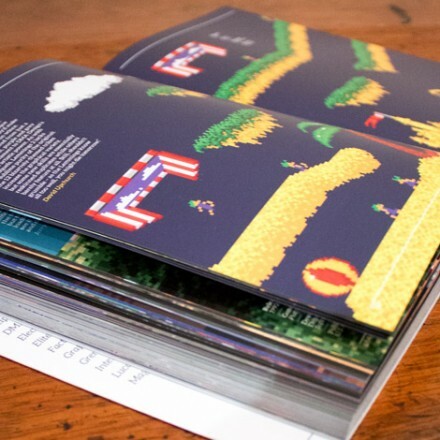 Commodore Amiga: A Visual Compendium is the perfect book for people who don't like to read. Printed on high-quality stock, each page is plastered with razor-shop, vividly colorful screenshots of the games that graced the Amiga. Some of these images are graphical masterpieces, with pixelation that only enhances their exquisite detail. The system's extensive palette facilitated a degree of artistry not seen at the time - and rarely seen since. Each two-page spread includes basic information about a particular game like the release year, genre, and publisher. Paragraph-sized commentary provide insight, humor, and refreshing honesty. The commentary for Barbarian freely admits "Forget about the gameplay; Barbarian is all about the graphics." The developer of Hunter recalls "I don't think I have even met anybody who owned Hunter and actually paid for their copy!" I wasn't particularly knowledgeable about the Amiga but this book gave me a crash course on this once-cutting-edge computer. In one section the original engineers discuss the general design of the system and reveal that their names are actually engraved in the inner case. 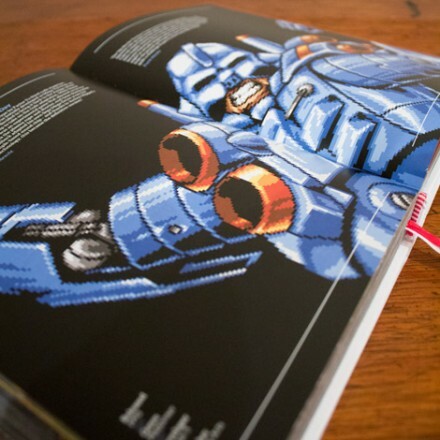 The book contains interviews with several major publishers such as Cinemawave, DMA Design, Sensible Software, and Factor 5. Their anecdotes reflect a time when game development was personal and graphics were hand-drawn. In one case a developer purchased a toy Batmobile to use as a reference for the driving portion of the Batman game he was working on. I was amazed by the sheer variety of games produced for the system. I had no idea there were so many 2D shooters. The system also boasted definitive versions of popular classics like Marble Madness, Space Harrier, Maniac Mansion, Turrican, Monkey Island, Flashback, Micro Machines, and Lemmings. I was drooling over the screenshot for Galaga Deluxe. Frankly I had never heard of most of the games in the book, but they all look fantastic. The system was powerful enough to run flight simulators, split-screen games, sandbox adventures, and complex strategy titles like Civilization. Indiana Jones and the Fate of Atlantis required the player to switch between 11 floppy disks (!) but from the looks of it, it was worth the effort. My main criticism is how only one screenshot is presented for each game. It would have been nice if both a title and game screen were included, even if one was just an inset. With the Commodore 64 compendium it was fairly easy to tell title screens from game screens, but the Amiga's graphical prowess blurs that line. An index would have been nice too considering the hefty size of the book. Clocking in at over 400 pages, this visual compendium packs a load of material. Just perusing the pictures can keep you occupied for hours. Like the Commodore 64 version, the book transports you to another era and gives you an appreciation for software development before the industry "went corporate". 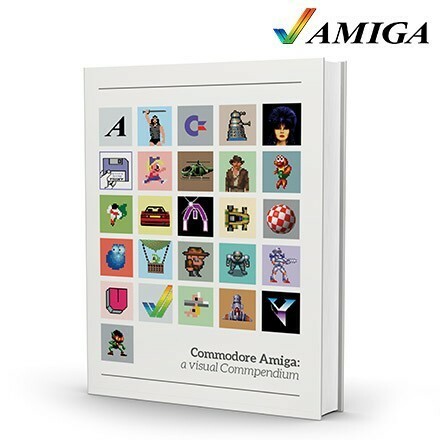 Released on the 30-year anniversary of the system, Commodore Amiga: A Visual Compendium is a treasure trove for those who had the pleasure of using the system, and an eye-opener for those who did not. Use code VGCRITIC for 5% off everything in the store.